were the Japanese Treasure site, and One of the site was our site that still on progress. As what I had remember, Marcos had two sites and the other sites were recovered by politicians and civilians. I will also attached one Japanese Map that were all written by Japanese dialect. Hope you will request and interpret this to your Japanese friend to what was written on it.. and hoping to contact me for I will also know..see my blogspot to see our actual excavation still on progress seeking an investors to finished my project. Hope you all enjoy looking my file,,My,, URL.blogspot...http://garyvbautista.blogspot.com..
and here are the 2 maps that I will want to show. These are not genuine Golden Liliy maps, but they may still be authentic. There are actually 175 GL maps, because 3 were set aside. I know, because I have been trained for 2 years by Bob Curtis to be his heir apparant. You may want to email me off board to discuss this if you are looking for equipment, money, and personnel to work on your sites. jeward and Hitndahed like this. To SWR and Wayne Philips! Can you find a Japanese Friend of yours to interpret and read the markings of the first map that I had posted? By interpreting this maps will help us all in these treasure Net Forum members know what were the meanings that were written on it. all of us will understand. If you need another map that I will produce because I knew that It is not will clear. Just Email me. It is nice and very great..but my problem is..how can i help?or how can i find the treasure? do i need to be team up with you?..i am a Filipino but i can read japanese but not that expert..i've studied it..but i'm sure i can read..maybe i can help? I am a Japanese. 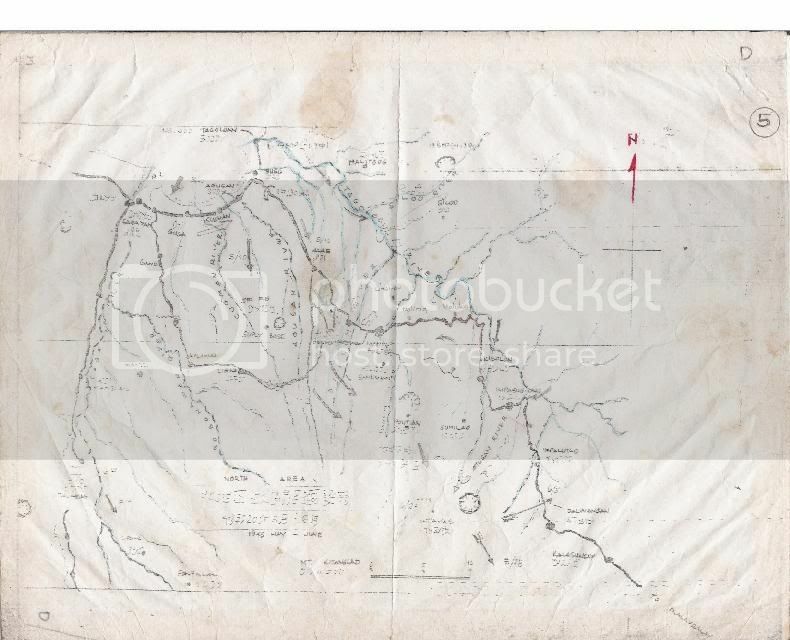 I saw the first map that you posted, it is just a map of whole Davao and it is not a treasure map. the writings on the lower-right corner are the distance between the dots. jeward, joelerong and gbricks007 like this. Hi! thanks for the welcome. Do you really have a maps and got the stuffs? 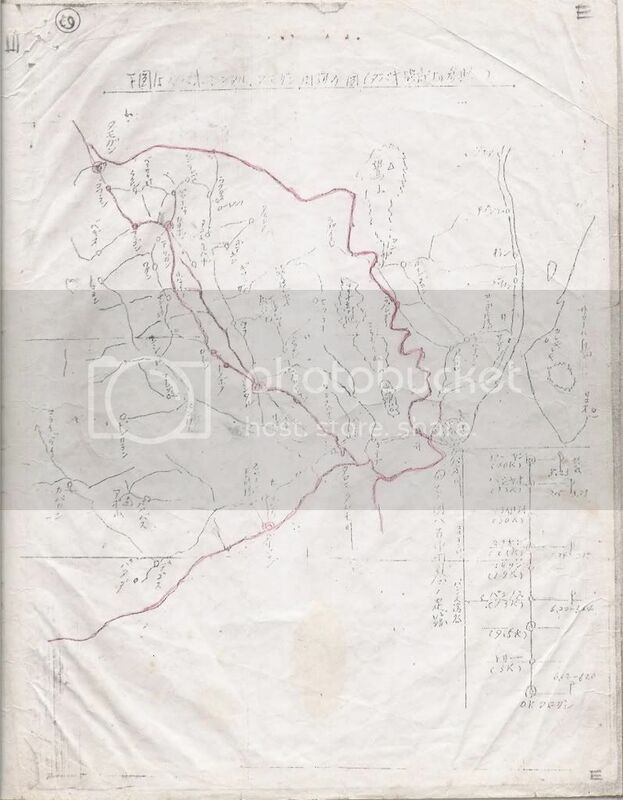 I have a map that I got it from an old library where Gen. Yamashita's hometown. I got it from his right-hands diary. I already read the diary, the book was named as " The Right-Hands Diary" It is written in old kanji's and it is barely to read them. The records of Gen. Yamashita was recorded on that diary started on 1942 till Dec 1945, 2 months before he was executed. The treasure is real and in that diary there was 6 pages of maps. I took a pics with my iPhone 4 and printed in A4 paper. Have you ever got to one of the sights? The world doesn't know that there is a diary from hi right-hand. Some old man on my neighbor is telling me that he is the grandson of Yamashita. His family name is Yamashita and he, my neighbor was born on Kochi Ken the place of Gen. Yamashita. They believed that the diary is written by some subordinates of the General. On the last page of the diary was a hanko of his name. Sadly, I can't read it. I ask the librian about the book. They said that on 1967 some veteran gave that book to the library. The young people here in Japan doesn't have an idea about the WWII. Schools never teach. The maps are located in Cagayan de Oro and Davao and Samal island. One of the maps is similar to the one which Gary uploaded. Where is Gary now? His last post was 2007. What happen to him? Did he got the stuffs? My big question is, why did he stop the operation, on 2004, before the election when he was almost there? I'm newbie here just sign in today, I'm out for this curiosity and knowledge of treasure hunting,lol. I have explored a big old man made cave(8'x6') in Davao del Norte. Would they Japanese hide a treasure in a cave? And how would they hide it? I'm an outdoor guy and I love exploring, this treasure thing would be a kind of another sideline hobby when I go exploring again. Your advice would be a great help and thanks in advance guys. This is a very interesting story, i am curious about the lost Japanese treasure cave even though i live far far from the Philippines. i do how ever live in a area of America that was bombed by the Japanese, at leats they tried to bomb it. bombed 3 miles inland from the light house but got the wrong light house. another interesting is the story's from the local Indians who claim the Japanese occupied the area. i am curious why they hid so much gold? Yeah, you're right SWR there are lots of scams of everything and everyone should be aware of that. Well I don't believe this Yamas but I do some researching for my curiosities sake, what if it's true-- (wow that gold). Any ideas anyone(TH), regarding how they would hide it in a cave. I've heard they would make a false wall or what are their style of making a tunnel for a hidden treasure? in Manila.so i'm stay here with 3 years ago now since i leaving in manila oct.23,2009. the living a livepointer until now but he so strength by hiself..
one time i visit him or let say i wanna vacation at his house with farmland so i willing to stay with him for longest vacation too..here in Davao. it in two his eyes wheres buried already with his parents land in embracing of total almost 5 hectares as in Privateland. so i proved it cause i saw items a japanese broken bowls,plates,double action bullets too.. and 7 meters away from a riverside East/North front in PACIFIC ocean.In this river called a BUNAWAN RIVER. secondly,this farmlot is along in the proper of upper LICANAN and too many a Bananas PLANTATION here. But so safety and good places and so privateland too..